Check this one out! Home sits on approximately 5 acres, has 3 bedrooms and 2 bathrooms. There are also 2 small rooms that could be used possibly one for an office and the other for a small child's bedroom. Sellers have been remodeling so home is needing some finish work and then it will be next to new again! New flooring, windows, siding, insulation and gutters are just a few of the updates. The good news is Sellers have everything required to finish out the home and all of that goes with the sale of the property. 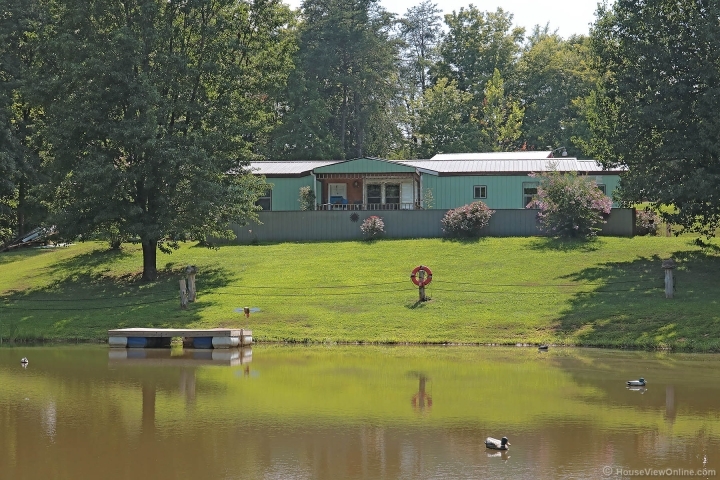 The home overlooks a beautiful stocked pond that is lined on one side by gorgeous pine trees! In addition, there is a boiler/wood furnace and 24x30 outbuilding, complete with concrete floor and electric and a smaller building to be used as storage, etc. Seller is leaving the air compressor and the tractor is negotiable. Call today for your private showing!